Footnotes are numbered references that appear on the main text indexing small text notes on the bottom of each page. 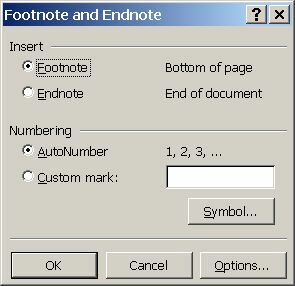 Endnotes, similar to them, will appear on the end of the document instead of each page footer. They are very easy to insert and Word will take care of most of the work for you. 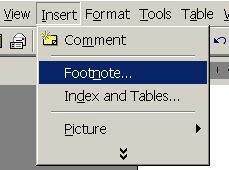 3) You have a short dialog where you can choose footnote/endnote and automatic/manual numbering. Leave the default options on for this case. 4) Insert the footnote text on the bottom of the page, on the newly generated are for the effect. Each footnote will have its own number. If you want to repeat the number in a different place on the main text, insert its number manually on the dialog window.